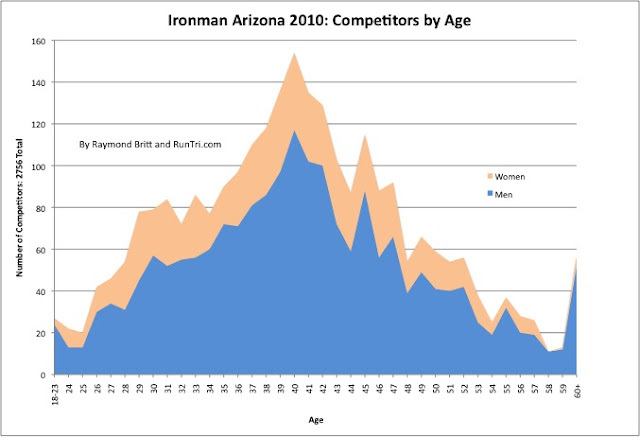 Nearly 2900 triathletes registered to compete in Ironman Arizona 2009, and the race is sold out for 2010 as well. Registered competitors range in age from 18 to mid-70s, as shown in the chart below. Also see the complete list at ironmanarizona.com and our Complete Ironman Arizona Coverage.